Notice: The information provided in this manual is for educational purposes to help existing patients of Synergy Family Health maximize their healing success. If you experience any unusual pain or discomfort while performing the exercises, please discontinue and notify the doctors immediately. We sincerely look forward to serving you and your family. Welcome to our family! We are so excited to help you on your journey to health and wellness. We have served hundreds of families and have witnessed countless miracles. Chiropractic care provides amazing results by removing nerve pressure and irritation in your spine, allowing your nervous system to function at 100% of its potential. Thank you for the confidence shown in selecting our office for your chiropractic care. We understand that this is a big commitment to your health and we do not take that lightly. Our entire team is committed to providing you with the highest quality patient care and service. We will be happy to answer any questions concerning your health-care. We hope that you will be enthusiastically satisfied and will recommend chiropractic for your family and friends. 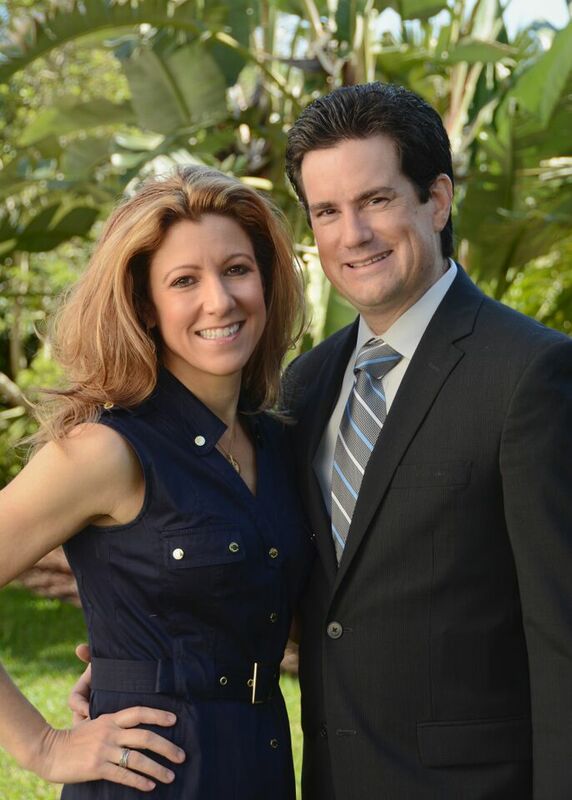 Dr. Eric Janowitz is committed to bringing the latest in spinal corrective procedures to Synergy Family Health. The procedures employed here are designed to make life changing improvements to your spine and nerve system. Swipe your Chiropractic Health Card at the front desk. They will greet you and provide you with any announcements, event handouts, or daily readings. Keep your Chiropractic Health Card available as you will be using it prior to your adjustment. You will then proceed to the Cervical Curve Restoration Area in the back to start your warm ups by performing cervical traction. Warm ups are the procedures designed to prepare the muscles and ligaments in your spine to get them ready for the corrective adjustment. Perform the cervical warm up range of motion exercises posted on the wall to prepare your body for cervical traction. Your goal, unless specified by the doctor, is to start off with 5 repetitions (with a 1 second hold) and increase by 5 each time until you reach 40 on the cervical (neck) traction. If you experience any severe pain or dizziness, discontinue immediately and inform your doctor. Also, be sure that you secure your traction rope by using a "boater's" knot and testing that it is locked in by pulling on the mechanism prior to initiating it. Our Spinal Technicians are available to assist you with any of the exercises. After you have completed your cervical traction take a number card from the brown product case. You will then proceed to the “Healing Zone” area in the middle where you will continue the warm up process. Have a seat carefully on the wobble chair. For your safety and optimal results, please keep you feet on the floor and sit straight up. Do not lean back on the chair. Begin with 2 minutes forward to back, then 2 minutes side to side, and finish the last 4 minutes with the bow tie series. This will equal 8 minutes total. After the 8 minutes, proceed into an adjustment room. Upon entering the room, please swipe your Synergy Health Card a second time. This will load all of your clinical information for the doctor. Please empty your pockets of any keys, wallet, or cell phones in the basket provided. We ask you to lie face down on the table to prepare for your adjustment. The purpose of this is to put the muscles and ligaments in a relaxed state to prepare for the adjustment. After the adjustment is performed, you will then go to the Advanced Core Vibration Rehab Studio to “set” the adjustment and strengthen your core. You will be taught how to use the Vibe platform which produces Whole Body Vibration (WBV.) Start with 1 minute, increasing to 3 minutes when you feel you are able to tolerate it. If you experience any severe pain or dizziness, discontinue immediately and inform your doctor. Our Spinal Technicians may also teach you additional therapies to do on the Vibe such as core stabilization and muscle strengthening exercises. After you have "locked in” your correction, your visit is complete! We hope you are excited about the technology we have built into our practice. We realize that your time is valuable, however it is essential for these procedures to be performed on every visit. If you are not able to do a particular therapy on one of your visits, it is your responsibility to let the Doctors and Spinal Technicians know. We want to make sure to make any necessary adjustments to your corrective care program. The office visits combined with the home care should enable us to achieve spinal corrections with less time. Click here for tips for healing. Click here to view all promotions and upcoming events. Chiropractic Adjustments: Adjustments correct your spinal subluxations, or misalignments, and their related components including organ malfunction, pain and inflammation, restrictive motion, and muscle spasm. By removing pressure off the nervous system, the brain will be in a better position to send strength and energy to the vital organs and muscles and restore health. This is the foundation of the health regeneration process. Cervical (neck) traction: Cervical extension traction improves your posture, balance, coordination, as well as re-hydrates and re-nourishes the discs. The goal is to help restore the normal 43 degree curve in your neck and reduce any Forward Head Posture (FHP). Nerves in this area affect the head, neck, arms, and thyroid, immune system, heart and lungs and influence our emotional well being. Wobble Chair: Wobble chair exercises help improve your low back and pelvis range of motion as well as help strengthen your “core muscles.” This increases balance, posture, and coordination and restore the proper pumping of cerebrospinal fluid throughout the spinal column. This vital fluid bathes your entire nervous system which gets blocked due to subluxations. Nerves in this area affect the low back, the legs, bowel, bladder, and reproductive function. Massage Therapy (MT) Massage therapy is used for the purpose of reducing muscular system pressure. Massage often helps alleviate pain, reduces inflammation, and increases range of motion. Massage enhances the chiropractic adjustments. Spinal Decompression (SDT): Spinal decompression therapy is designed to help disc problems including bulging, herniated, or degenerated discs in the neck and low back. We utilize a computerized decompression table that gently helps heal the disc and allow the nerve to heal. This therapy has a very high success rate, especially when combined with corrective chiropractic care. Cold Laser Therapy (CLT):Cold laser therapy stimulates the body’s ability to heal damaged tissue at the cellular level. We use CLT to aid in tissue repair resulting in pain and inflammation as well as allow the nervous system to re-establish a healthy connection to damages nerves. Electrical Muscle Stimulation (EMS): Electrical muscle stimulation therapy uses comfortable electrical stimulation to cause the targeted muscles to contract. This provides a drug free alternative for pain reduction and well as overall healing of spastic muscles. This is used for acute injuries as well as rehabilitation for athletic, auto, or chronic injuries. If you are not able to perform any of your recommended therapies on a particular day, it is your responsibility to let the Doctors and Spinal Technicians know. We want to make sure to make any necessary adjustments to your corrective care program. Let food be thy medicine. SYNERGY FAMILY HEALTH is pleased to announce the use of the ALCAT food sensitivity testing, the most effective and comprehensive sensitivity/intolerance test available. The test is not a traditional allergy IGE test, but rather a test that evaluates your long term response to the common foods that we eat and chemicals we ingest that can harm us in the long term . Patients with the following symptoms may benefit from ALCAT testing: Digestive disorders, sinus condition, allergies, asthma, migraines, obesity, chronic fatigue, ADD/ADHD, aching joints, psoriasis, and arthritis. Health Workshops offered FREE to our Patients, Businesses, Churches and Civic Organizations. Schedule a workshop TODAY! Save Your Family’s Life (Family healthcare is a priority in our office. Learn ways to protect the most important people in your life. Cervical extension traction improves posture, balance, coordination, as well as re-hydrates and re-nourishes spinal discs. Traction helps to restore the optimal 43 degree curve in your neck and reduce any Forward Head Posture (FHP). As sleep is one of the most critical times to have proper posture, your pillow can play a crucial role. The cervical pillow helps hold your head and neck in proper alignment while sleeping on your back. The pillow is designed to minimize the effects of stomach sleeping. Restoring proper curves to your back and neck allows your nervous system to function better. These wedges help restore and mold the spine back to its proper position. Wobble discs improve low back and pelvic range of motion, as well as help strengthen your core muscles. This increases balance, posture and coordination while restoring the proper pumping of cerebrospinal fluid throughout the spinal column. This fluid is vital to the function of your nervous system which gets blocked due to subluxations. All natural, this pain relieving gel temporarily relieves pain -- from acute injuries such as sprains and strains to chronic injuries such as arthritis, bursitis, plantar fasciitis and tendonitis. A great alternative when ice is not possible. Research shows that those who use ice within the first 24 hours of an acute injury can recover 50% faster than those who don’t use ice. Ice packs help reduce pain and inflammation and accelerate healing. Large size is great for molding on most large body parts. Massage helps enhance chiropractic adjustments by reducing muscular tension on the body. This massage stick helps alleviate pain, reduce inflammation, speed up healing time and increase range of motion. ACHIEVE their best HEALTH ever! Our little office here in Oviedo did not become one of the fastest growing clinics in the world by accident. Our team is very clear and committed as to the purpose, mission, and vision this clinic seeks to accomplish. Simply, we want to bring out YOUR Best! Get your Spouse and Kids checked for subluxations immediately. Get your Grandparents, Parents, Siblings, Cousins, Aunts, Uncles (even your in laws!) checked for undetected nerve damage. Get your neighbors and people you socialize with checked to make sure they are functioning at their God-Given Potential! Get your Co-workers involved in becoming healthier. YOU may be their only hope to get answers to their health problems. Make work healthy. Invite them to one of your regular Chiropractic Adjustments. This will help them “see” what it is about and we can show them around! Invite them to the “Regaining Your Youth and Vitality” New Patient workshop. This is one of the best ways to see “How” and “Why” our unique style of Chiropractic may help them. Give them a Gift Certificate (We’ve given you a few to get started) to come in for a $27 Complete Health Evaluation. Encourage them and help them schedule the appointment and explain the process to them. We promise to treat them like family. Utilize the “Free Phone Consultation” form where you speak to them ahead of time and we will take the time to call them after we see patients and answer any questions / concerns. Most patients we speak to on the phone typically become happy practice members, all because YOU cared enough to help make it happen! Having trouble handling a friends question about care? Ask the doctors on your next visit and we will help you explain what we do in plain English. For every loved one that you introduce to our office, we would like to thank you with a $10 certificate to our selection of wellness products. Click here to view Relief Exercises.